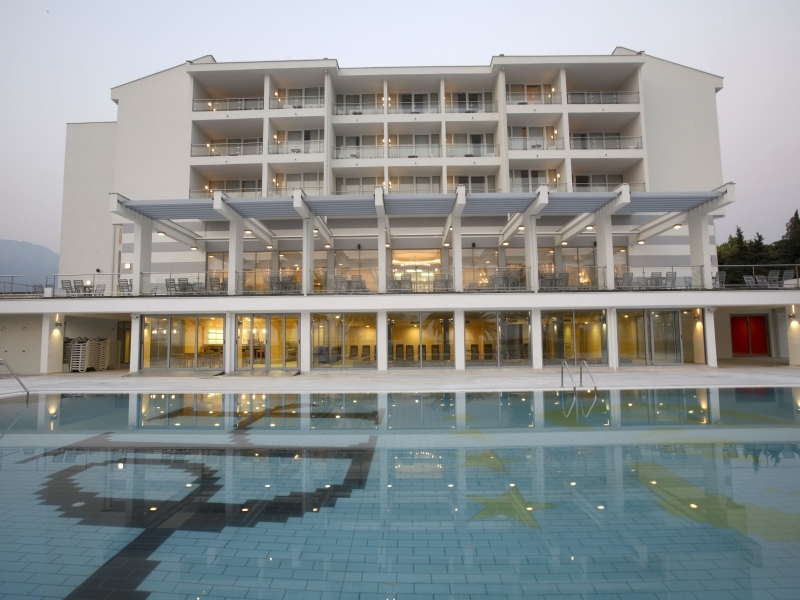 HOTEL PRINCESS is located at the most attractive part of Bar, nearby the promenade along the sea shore, and is surrounded by lush vegetation, museum complex and sport terrains. Rooms and apartments are comfortable and contemporarily designed, with exceptional views of the marina, beach and sea, palace and mountains at the town's hinterland. Hotel Princess has 135 rooms, of which: 72 'connected' rooms, 39 rooms with double „matrimonial“ bed, 33 rooms with “King Size” beds, 12 deluxe suites (85 m2), 15 junior suites (50 m2) and 2 rooms for handicapped people. 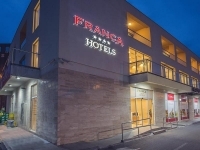 Rooms and apartments, highly comfortable and modernly designed, offer: flat-screen TV, cable and satellite TV, internet connection, mini bar, safe, balcony, air conditioning / heating, cleaning service (for clothes), and all necessary equipment. Room service is also available, which will fulfill all wishes of our guests. Each room has its own terrace with sea, park or mountain view. 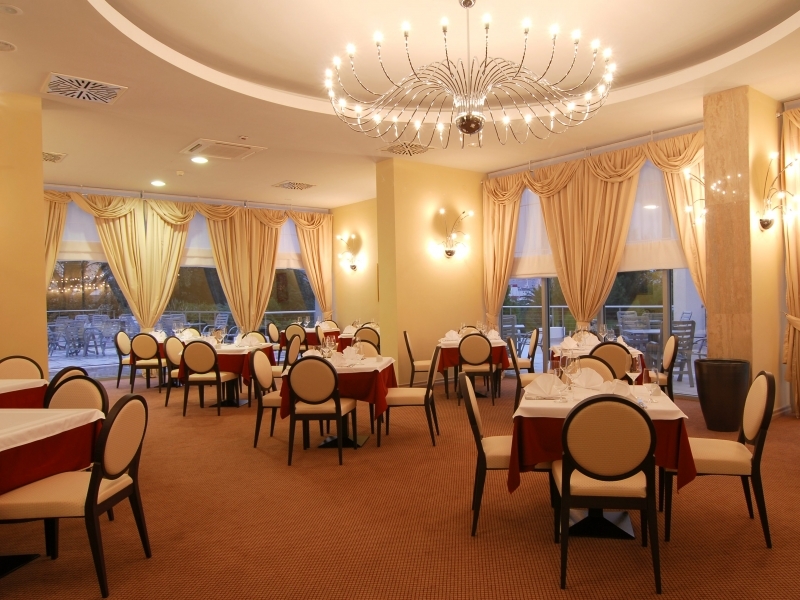 Our restaurants offer specialties of national & international cuisine, various drinks, accompanied with good service. Lobby & Piano bar are pleasant spaces for rest, while having a drink and conversation with business partners or friends. You can enjoy and also have a drink or try some sweets or cakes at the Pool bar, from which you can go out to the pool and spacious terrace of the hotel. In Wellness and Spa center, Roman and Finnish sauna, Turkish bath, hydro massage bathtub and hydro massage bed, three beauty salons, relaxation room and showers will be a genuine cure for your health and beauty. Fitness center of hotel “Princess“ possesses modern apparatus: treadmill machines, exercise bikes, bench, power steppers, row machines and ski machines. By using these apparatus and with the help of our instructor your body will be relaxed and in good condition.